Bringing together art and engineering at IMTS 2018. This year, besides showcasing our latest technology, ANCA is set to celebrate the art of tool making. The perfect tool requires a combination of art and engineering. Our customers have cultivated and refined their craft over the years to design beautiful tools and applied science to achieve a sub-micron surface finish and superior cutting performance. “Our technology has advanced light years since then. As well as showcasing our latest products at IMTS we want to celebrate the deep grinding knowledge and daily dedication of our customers to create beautiful tools that have in turn helped shape our world. We know that grinding a tool is a craft, a passion and not just a task for many of our customers. Grinding the perfect tool is as much about art as it is about science,” Pat concluded. 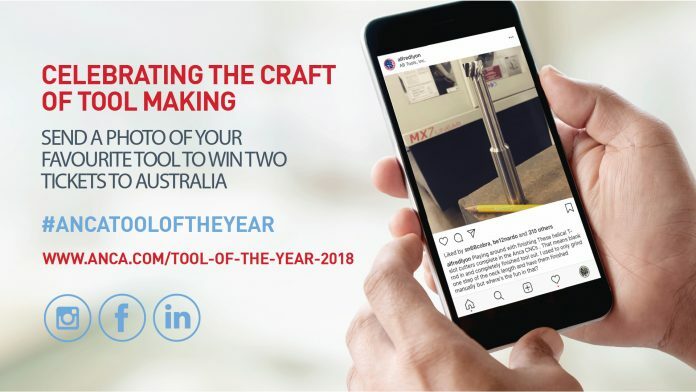 To find the Tool of the Year ANCA will hold a competition for customers to submit their favourite tool with the winners being judged and announced live at IMTS. The prize is a trip for two to ANCA’s headquarters in Melbourne, Australia to see firsthand how the technology is created at ANCA and meet the team who are dedicated to finding even better solutions for our customer. The competition will be based on the passion and the craft of tool making and celebrate our highly skilled tool grinding community. 1) Share a photo or video of your tool being ground on an ANCA machine on your LinkedIn, Instagram or Facebook using #ANCATooloftheyear18 hashtag. 2) Visit www.anca.com/Tool-Of-The-Year-2018 to complete an entry form with full name, company name, email address and social media handles. 3) Social Media submissions will run from 27d of July to 20st August 2018. 4) ANCA will gather all entries and will post on the ANCA Facebook page as an album on 20st August 2018. 5) You are encouraged to promote the competition album with your networks to gain likes on the image. 6) The five finalists will be selected by the number of likes (passion) they achieve on their picture. 7) Finalists are announced on 25th August 2018. 8) Finalists will send the actual tool to IMTS, along with name and logo of their company to be displayed on the ANCA stand. 9) A judging panel pick the winning tool based on the craft, strict measurement criteria.